Oklahoma has very strict cannabis laws. 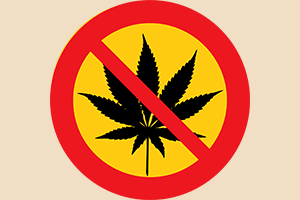 Marijuana is illegal except for medical purposes, and that remains illegal on tribal lands. There are 36 federally-recognized tribes in Oklahoma. The DOJ marijuana policy on tribal reservations applies to these Oklahoma tribes. 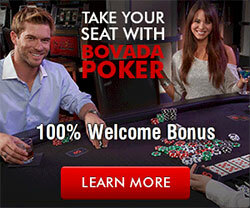 Each is federally recognized as sovereign by the Bureau of Indian Affairs in the U.S. Interior Department. For a complete list of Oklahoma tribes and their locations, see our page about Oklahoma Tribes. Oklahoma tribes recognize the challenges and business opportunities of the cannabis industry, but have not announced their interests or business plans. On Monday an announcement was made that the ballot for November's election will not have the initiative that would legalize the use of recreational marijuana and cannabis sales in the state. The measure did not receive the mandatory minimum amount of signatures that would have allowed for the voters to decide. 123,725 signatures were needed. However only 102,814 were submitted for State Question 797 showing support. The signatures needed had to be collected by August 08, 2018. Of those signatures, 132 were rejected since they did not have the full required information. The signatures were missing affidavits or other wrong information. Behind the proposed initiative was Green the Vote. In late July the group had falsely stated that they had over 132,000 signatures. The group admitted that the number was inflated and done so to help increase the awareness for the initiative. Advocates for legalizing cannabis in Oklahoma are planning for 2020. Medical marijuana use was approved in June by voters. Tulsa and Oklahoma City will be the locations for a facility that will cultivate and process cannabis. The advocacy group is not giving up on the issue. They believe strongly that there will be a measure on the next ballot to legalize recreational marijuana. 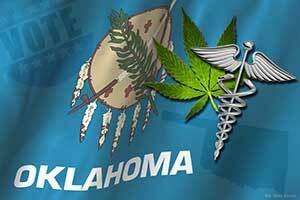 The group believes that will come about because of the growth in Oklahoma's growing industry in cannabis. They believe that Oklahoma residents will see the growth and potential opportunities in the new businesses. This will make support for the issue easier to obtain the required amount of signatures. Medical marijuana has been legalized in the State of Oklahoma. However, the Native American tribes in the state have not agreed to allow any marijuana on their lands. The Comanche Nation and Osage Nation have decided to follow the U.S. federal law instead of the state law. The federal government regulation is that marijuana is illegal. These lands are considered sovereign and the laws that are enforced are the laws of the tribes that own the land. Currently the Osage Nation has agreed to follow the regulations that are advised by the U.S Attorney's Office. Marijuana is considered a Schedule I narcotic. Therefore, the drug would remain illegal on the Osage Nation's land. Until the time that federal law changes, the tribe will enforce the possession of marijuana as a crime. The Cherokee Nation is also following the current federal stance on marijuana. The tribe has stated that they have not approved the new law and it is up to them to decide if they will since the laws do not apply to their sovereign land. The Cherokee Nation is also wants answers to questions regarding the enforcement of the new law. Currently leaders for the tribe are considering their own laws that would resemble the Oklahoma State law. Or possibly a law that would be different. The tribe is considering the economic opportunities that they could benefit from with medical marijuana. However, the details on how it would be implemented would need to be clarified. 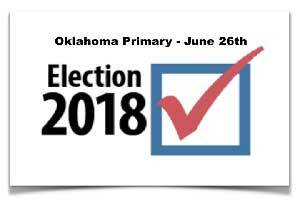 Oklahoma's June ballot will ask the question about legalizing marijuana for medical use. State Question 788 would allow for a license that would be state-issued and prescribed by a medical doctor to be given to people to obtain marijuana to treat an illness. A household will be allowed to possess up to 8 ounces of marijuana. An individual can possess up to 3 ounces. If approved the sales tax placed on the marijuana would be at 7 percent. The tax would cover the cost of finance regulation. Surplus tax revenue would fund education programs for the Oklahoma State Department of Health for drug and alcohol rehabilitation. People and companies interested in farming, selling, researching, and transporting marijuana will also be able to obtain a license. The Muscogee (Creek) Nation has expressed interest in farming and selling the plants. Their land has been evaluated as being suitable for growing both medical marijuana and hemp. However, plans to move forward with any marijuana project have not been announced. This is due to the current code for the tribe. MCN Code Annotated Title 14 considers it a dangerous substance and names it as a Schedule I drug. The Las Vegas Paiute Tribe in Nevada has a marijuana business that is proving successful. It is the owner of the world's largest recreational and medical marijuana store, named NuWu Cannabis Marketplace. In 1970 the Controlled Substances Act was signed into law. Under the law marijuana is listed a Schedule I drug.